« From my house to yours…………. Nothin’ nicer than a friendly neighbour! If you are a regular to my blog you will know that we moved to the beautiful town of Tenterfield just before Christmas. First to welcome us was a lovely neighbour, Val. (funny how Vals pop into your life – we had a neighbour who is now a great friend at McKees Hill who is a Val also, AND my sister – who masquarades as my cousin is also a Val – she didn’t have a sister and neither did I so although we are cousins we pretend we are sisters!!!!) Anway Val was the first to welcome us to this gorgeous town and she’s one very busy lady buzzing here and there ever since we arrived really. Anway she managed to stand still long enough to invite us for a New Year Drink this evening, so I whipped up this little ‘thank you’ gift this afternoon. Wouldn’t you know it, just when you want everything to go well, the gutter glue on the tin hasn’t really ‘cemented’ itself. Darn! Anyway I’ve filled the tin with yummy, yummy chocs and hope that Val enjoys the card and goodies inside. Have you seen this great gift? Why not book a class and learn how to create your own from a humble tin of tomatos (you even get to use the tomatos first!). If you don’t have a ready supply of empty tins????? I can supply the tin, you supply the filling and Voila! instant gift. It’s lots of fun so email me if you like to learn how. Close up of the card and tag. It’s really quite gorgeous! 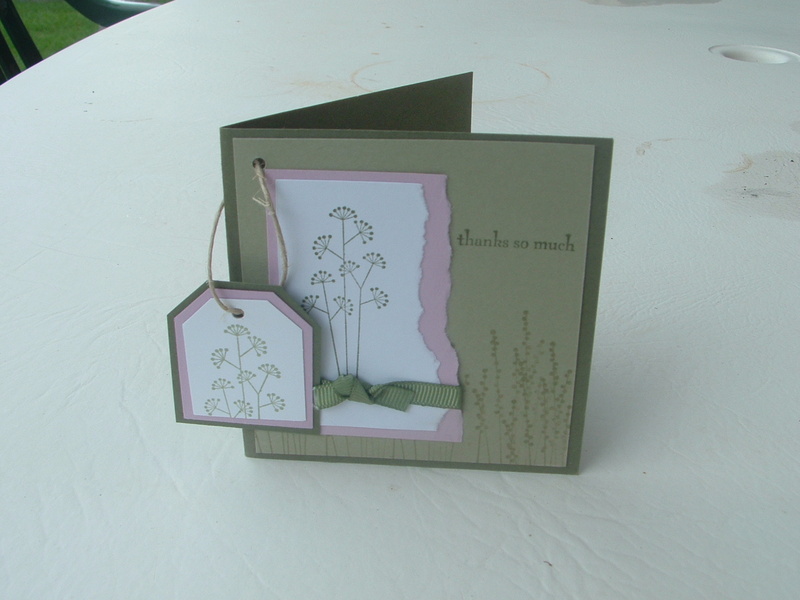 All products are Stampin’Up! of course! just love this one Jacquie. Pocket silhouttes is my fav ! 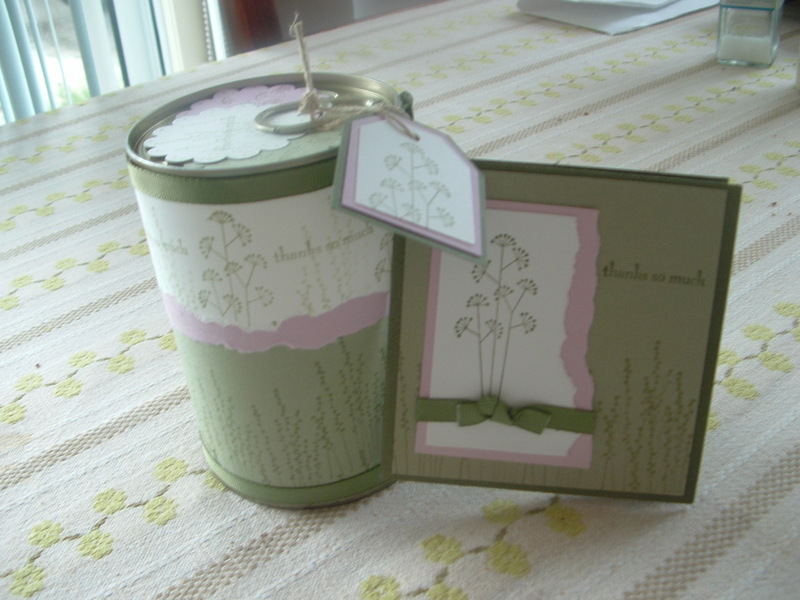 gorgeous card and tin Jacqui. Still can’t find that elusive can opener that doesn’t rip your hand apart!